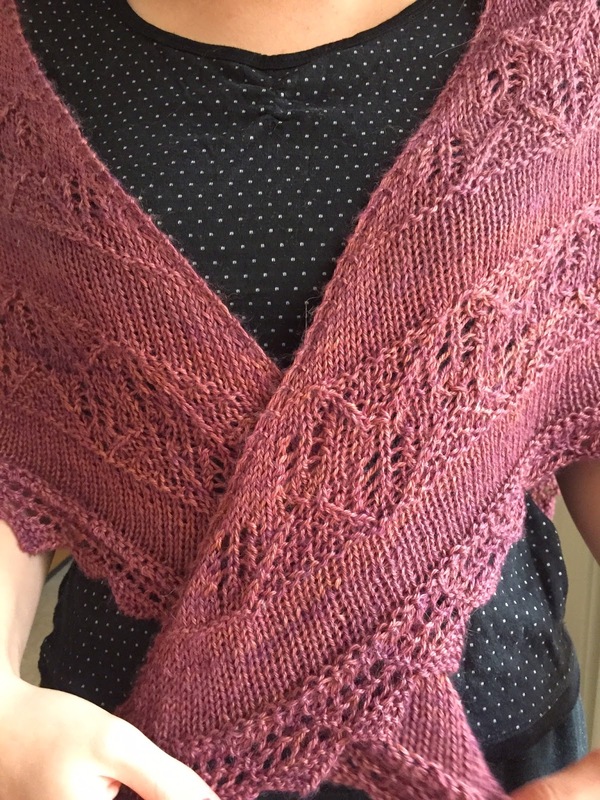 I made another lovely shawl! This one is for keeping my neck and shoulders snuggly and warm. 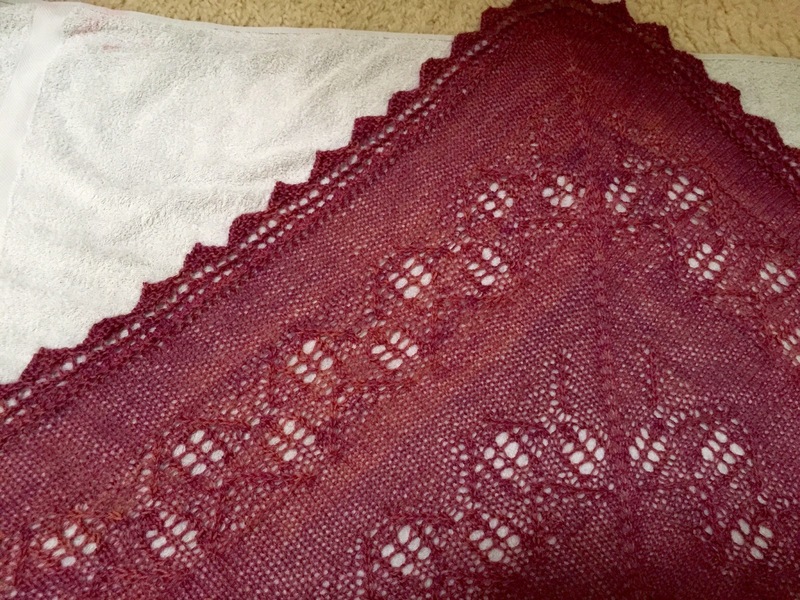 This shawl has three repeating sections: A and B, which look the same except are mirror image, and a stocking stitch section. These three sections are repeated three times, with four stitches increased on each right-side row. This makes the triangular shape! By the end, your rows are over 200 stitches long! 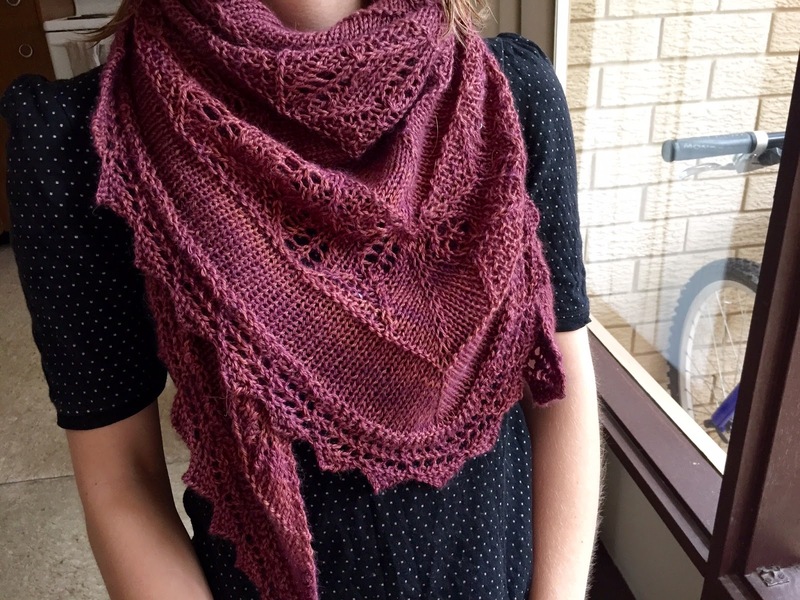 This yarn, Road To China Light, is made of 65% baby alpaca, 15% silk, 10% camel and 10% cashmere. It is so snuggly and warm and incredibly soft! Unfortunately, as it is hand dyed, there is quite a bit of variation in each skein and you can clearly see in the photo below where I changed skeins. 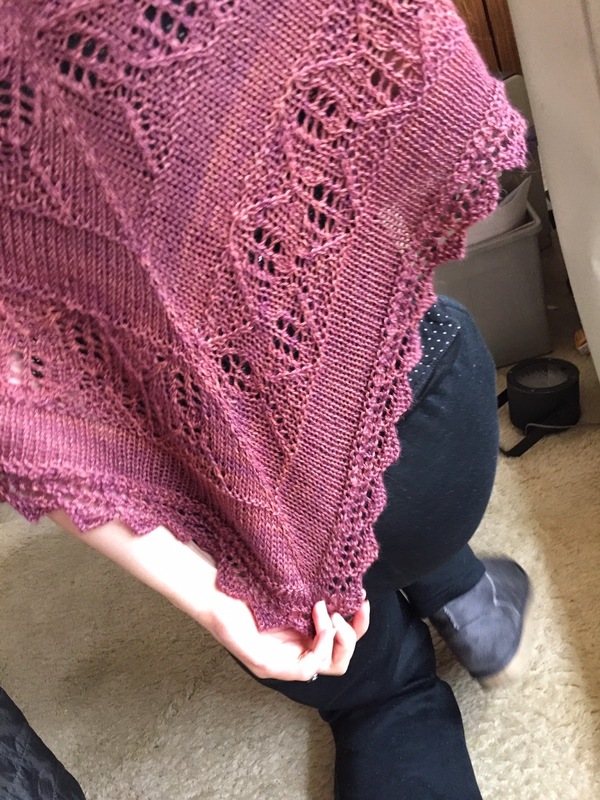 It's not a huge deal, but the middle skein I used had much more orangey tones. I know you're supposed to knit a few rows of each skein to avoid this stuff, but I don't like doing that as I worry it will come undone. Ugg boots for the win. 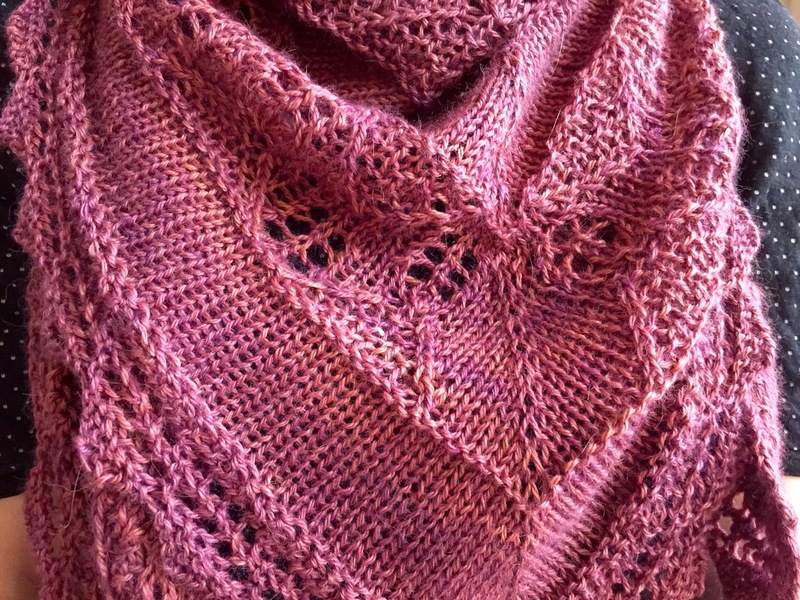 The border was the trickiest bit, being knit at right-angles to the shawl. I imagine it's a bit like entrelac? 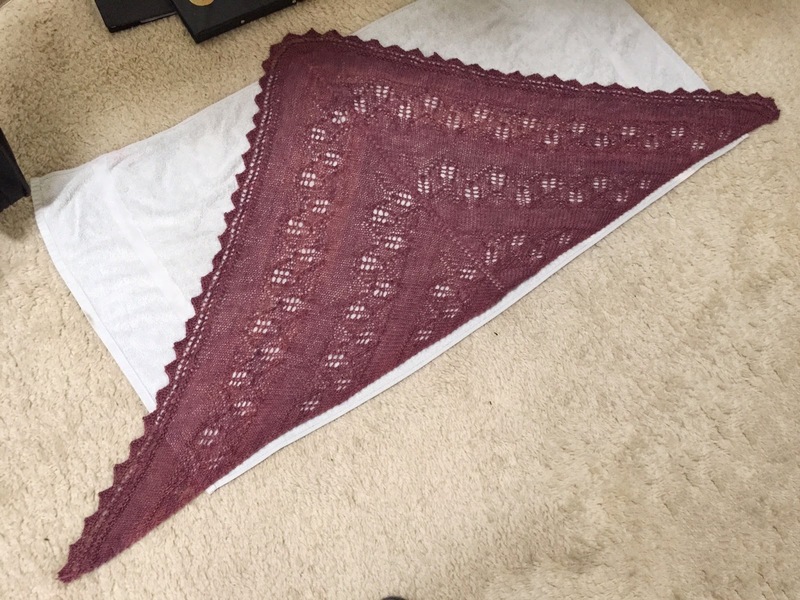 Anyway this was a lovely shawl to work on and to wear. Do recommend!